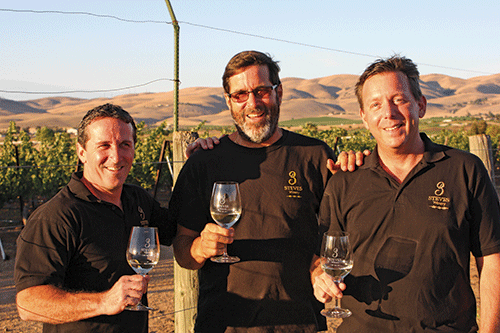 The idea for 3 Steves was born over 3 friends sitting around having a glass of wine and talking about starting our own winery. We all owned part of a small boutique winery where we learned the art, science, and business aspects of the wine industry. We made a lot of wine together, and our customers gave us some great feedback. Before long we realized we wanted to start our own label from the ground up, and thought it was obvious to name our new project the 3 Steves Winery. We’re proud of our wines and the awards we’ve won, and plan to be here for years to come. Livermore is an incredible wine region. The other wine makers have been so helpful and extended their hands, experience, and resources to us. In this type of wine community you can’t help but make quality wine.